Absolute Beauty now offer a Epibrow Microblading course, the latest microblading technique in semi-permanent make-up. 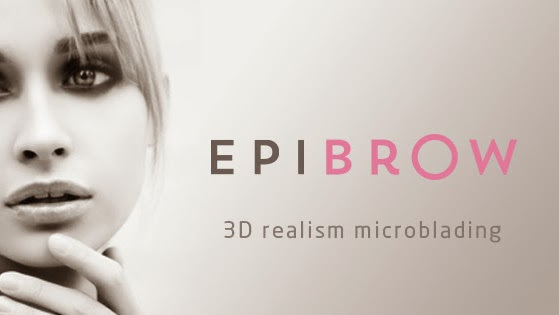 Epibrow is a semi-permanent procedure that can last up to 18 months. The technique gives the effect of ultra-fine delicate hair strokes that blends with your natural brow. A gentle yet effective peel with maximum results. A course of six treatments is recommended starting with a 10% peel and increasing to 40%. An application of mineral make-up is applied after each treatment. Pure mineral make up. Naturally diffuses light to create a luminous, smooth appearance. Minimising fine lines and wrinkles, also contains a SPF to help fight against premature ageing. The leading treatment for well groomed brows. Our fully trained stylists will help you personalise your own look to be as defined or natural as you desire and show you how to make your brows look great every day at home. Longer looking lashes without the need for extensions. Adds length, volume and lift. Excessive and unsightly body or facial hair can be emberassing and lower self confidence. We now offer state of the art IPL Laser Hair Removal as one of the most effective and safest ways to remove unwanted hair. Please contact us for more details and prices. Enjoy the experience of one of our Dermalogica facials. Your therapist will advise you on the best facial to suit your skin type. Hot stone therapy is a complete mind and body experience. Relax at the deepest level possible. The stones penetrate deep into the muscle tissue reducing tension and promoting a meditative state of calm. A stimulating massage - full body. We now offer Clients the option of the new dark tan - full body. Shellac power polish. Improve your nails with an armour coat that lasts up to two weeks! A traditional hair removal technique that is quick and painless. Using the purest blend of oils, this massage is performed with slow rhythmic movements to promote a feeling of total well-being.